❝It's important to understand that The Bell Curve deals with intelligence, not potential ability. As a rough definition, measurable intelligence is the practical knowledge and skills necessary for a given set of problem solving. 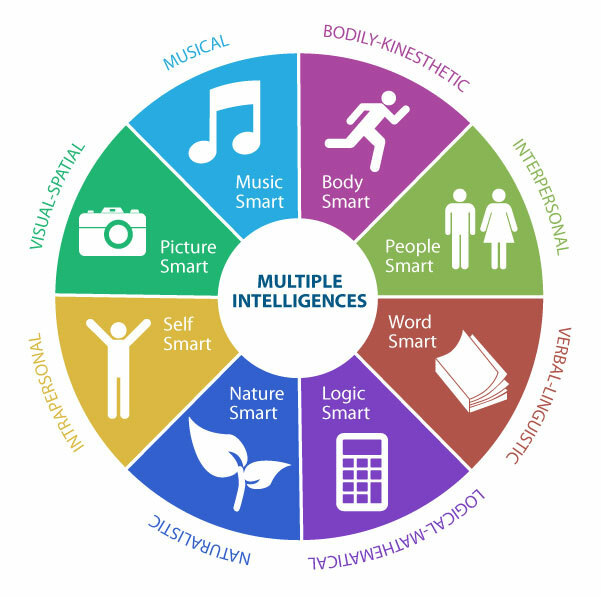 There are probably multiple intelligences, each with it's own scope and limitations. The upshot of which is that English literature doesn't grant the ability to tune up a motorcycle. "Street smarts" won't help you balance a checkbook. I did say probably. The theory does have it's detractors, but it is effective. Much of the problem lies in the definition of "intelligence." Look at it this way. Leg presses build up your torso and leg muscles, but don't do much for your arms or hands. Different muscle groups are used for different things and they aren't all useful for everything. Likewise, different intelligences work for you in different situations. I've got three problems with Gardner's original model. He didn't allow for as yet undefined intelligences (he fixed that when he added to the original group). And he left out two obvious (to me anyway) intelligences. First, he didn't distinguish between gross motor coordination (a baseball pitcher) and fine motor coordination (a jeweler). Second, he didn't allow for awareness and interaction with the Divine. Historically and across many cultures, there have been examples of this particular intelligence, even if we ourselves don't understand it well. I call it gnostic intelligence, the identifying and labeling is my own small contribution to Gardner's theory. Jordan Peterson would be the first to tell you not to treat anyone as the absolute authority on everything, including himself. While I admire Peterson's work, my studies and experiences have shown that Gardner's theory does produce practical results. Too many results to dismiss the theory out of hand. Peterson didn't say IQ, he said intelligence. I still think much of the problem is in the definition of that word "intelligence." It's not a general problem solving ability. As you pointed out, Gardner used examples who were extremely gifted in one area but deficient in others. That alone means that "intelligence" as it's usually defined is inaccurate. I just wrote a short piece at my pagan slice-of-life blog going into further detail. I understand if people here don't want to go there, so I'll sum up. An intelligence is a set of mental tools that can solve a problem. What works with one challenge won't work with another, anymore than you could exchange a pipe wrench with a smartphone and expect the same results. I understand your concerns, but I still think the problem here is in the definition of that word "intelligence." For example, you might be able to recite Shakespeare, but I'm pretty sure you can't speak Navajo. While those skills are probably related (sort of - the Navajo use different assumptions about time & distance), neither gives you the skill to bake a cake from scratch or help you deal with the loss of a loved one. We develop patterns of behavior that we use to deal with life. Sometimes we have the patterns we need, sometimes not. But there are patterns that just don't help with other things. Okay, this is a terrible oversimplification, but I have to explain if I expect people to understand. I said above that much of the problem is in that word "intelligence." Understand, the word is not the thing. Just because you have a symbol for something doesn't mean you have the thing itself. Manipulating the symbol doesn't let you manipulate the thing unless unless you've built the framework and links. Your cell phone is the front end of a very complex network, pressing 7 on the phone does nothing unless you are connected to the network. And yes, magick works the same way. The symbol is not the thing. Intelligence in it's strictest sense is not something easily measured. We know it's an approximation. We use chronological age to calculate the intelligence quotient. We know it's not linear. We know that gaining intelligence has to do with the plasticity of the brain. That slows down after the age of 25 or so. We know that older people find it difficult to gain new intelligence and adjust behavior patterns, especially if those behavior patterns have generated passion in the past. Not success, but passion. Your brain doesn't care if it's "bad" or "good," "successful" or "failure." The feedback mechanism isn't designed to distinguish between positive or negative, only the amount of passion. And yes, obviously that means that the more you focus on how bad you failed, the less likely you are to achieve your result. Gods, I could write pages on the passion feedback loop, but it really does boil down to three words. Amount, not polarity. With that in mind, let's refine the definition from my NeoNote above. Measurable intelligence is the practical knowledge and skills necessary for a given set of problem solving AND the ability to change the knowledge and skills as needed. In other words, it's not enough to succeed. You need to adjust your thinking and skills as needed for new situations. Intelligence IS NOT general problem solving. The ability to compose a song does not translate to the ability to weave a rug. A sledge hammer doesn't work as a screwdriver. A pry bar won't start a fire. So let's refine the definition again. Remember, this is still only an approximation. An intelligence is a set of mental tools that can solve a problem. With that definition, it's easier to accept that you use one mental toolkit for English literature and another for algebra. Hence, different intelligences. One last thing, the picture above is not complete. I already wrote about the differences between gross motor coordination and fine motor coordination. And of course there's gnostic intelligence. There are almost certainly intelligences that haven't been identified yet. An intelligence is a set of mental tools that can solve a problem.